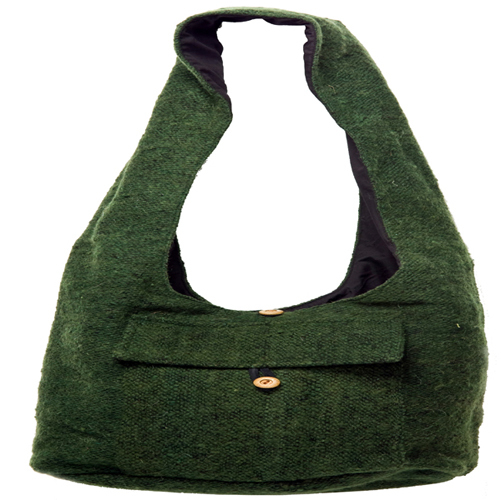 All natural, hand craft bucket style purse is 100% wool and is fully lined with 100% cotton. Front button pockets. 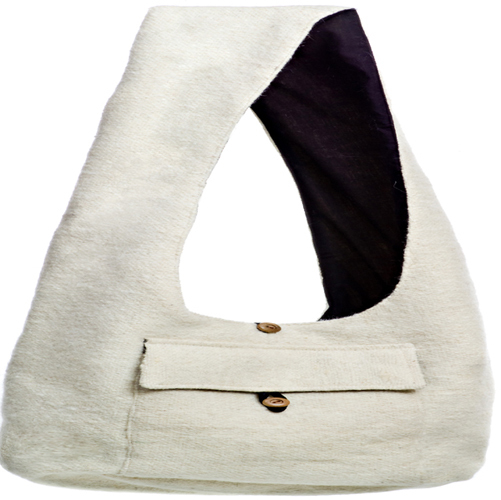 Inner double zipper and button closure on top. 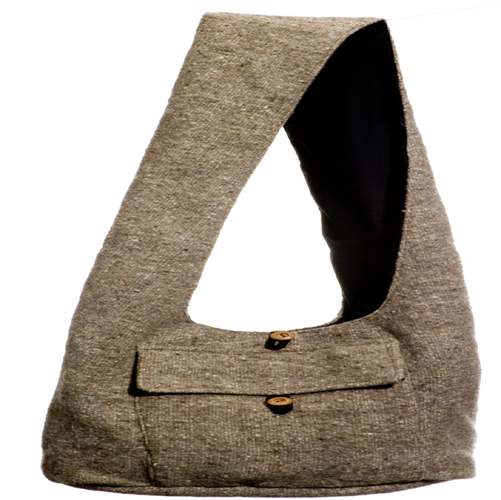 Wide shoulder strap.